Spring has officially started and the weather has warmed up. That means spring cleaning your home & cleaning up your PC. Visions of mops & dishrags likely filled your head. An acidic sting made your nose scrunch up. Cleaning your home is hard, dirty work but in-between freshening up your bathrooms and clearing out the garage you can grab an iced-tea, find a comfy chair and crank the AC. 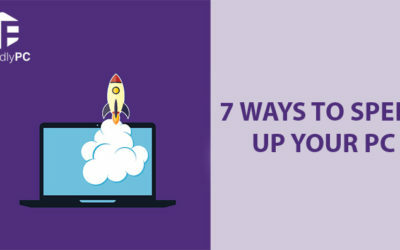 It’s time to follow these 8 easy steps to get your computer running smoothly. 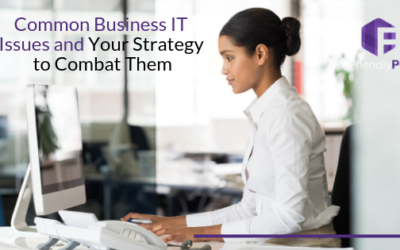 Is your desktop screen looking a bit like a heated game of chess? Right click and select ‘New > Folder’. Title it “Working On” then move any documents you’re not quite finished with into it. A daunting task we know. Like a closet crammed with your old coats, photo albums and random bills, taking the time to organize your most important files can be a breath of fresh air, and stop your PC wasting time combing through all those unused and worthless files. You’re computer doesn’t know what “unused” means. If it’s been saved, your computer thinks it has a purpose. Dump files you don’t need, and save those you’ll come back to in an organized folder. Trust us. Don’t even glance at what’s in it. 9/10 times downloaded files have done their job, and now they’re just taking up space. Right click your Recycle Bin on the desktop screen. Select ‘Empty Recycle Bin’. Pop ups can be a hassle, but not all of them are bad. Windows & many programs you use every day have notifications to alert you when an update is needed. Start your favorite tv show, click the darn button and let your PC do its magic. If you don’t have a nagging pop up, open the start menu or click the Windows key. Select ‘Settings > Update & Security > Check for Updates’. Let any updates found install, then restart your computer. Larger updates may restart your PC a few times, so be sure to leave it on and open till you’re back at the login screen. Now, that you’ve organized your documents and thrown out unwanted ones, backup your files to an external hard drive or your favorite cloud storage. Don’t know which is best? 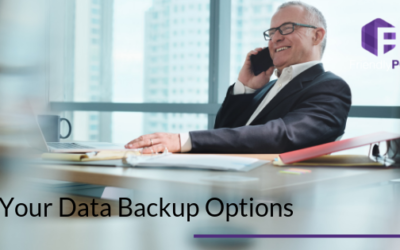 Read more about your data backup options. If you’ve run out of space on your computer, give us a call and ask for our Friendly Special to upgrade to a 250GB Solid-state Drive for $249.99 (labor included)! Defragmentation rearranges data on disks and drives so they work more efficiently. Run Disc Defrag on Windows 10 by typing “defragment” into your desktop search bar. Open the Defragment & Optimize Drives program and click “Optimize”. Avast and Windows Defender are free programs that get the job done without requiring useless add-ons and monthly fees. Run the program to check if your computer is secure. You can even set up an automatic sweep to ensure nothing is missed. Start with a can of compressed air and blast away dirt from keyboards and ports. Then use a dry microfiber cloth to wipe down the outside of your machine and any of its attachments, such as a mouse and keyboard. Cotton swabs are another helpful tool, as they help you clear away built-up dirt from nooks and crannies. We get it. No one really wants to clean out the shed, and turn a lovely spring afternoon into a sweat-a-thon. 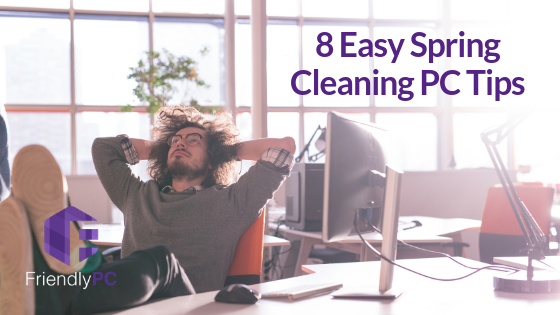 So take a few minutes, open a window and follow our 8 quick, easy steps to give your PC a spring refresh. We promise you won’t regret it, plus you’ll get to relax & be productive!